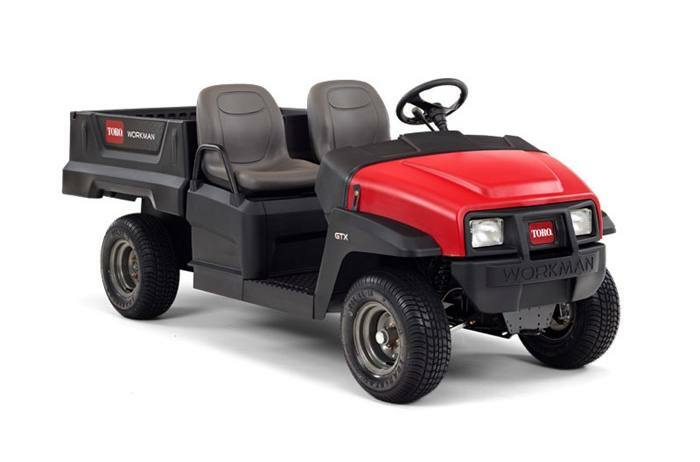 The Workman® GTX Series is a grounds and turf crossover vehicle that boasts an unequalled combination of comfort, utility and control, making it simply superior to the competition. 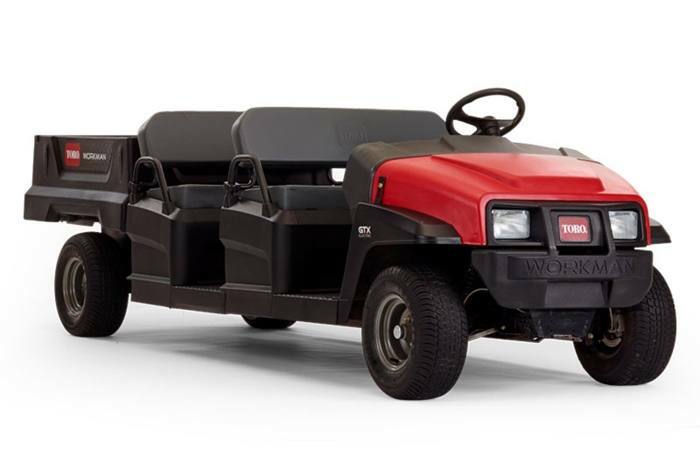 Its increased power, improved steering and exclusive suspension and braking systems make the Workman GTX the most versatile, practical and comfortable utility vehicle in its class. 2WD with front and rear hydraulic disc brakes. 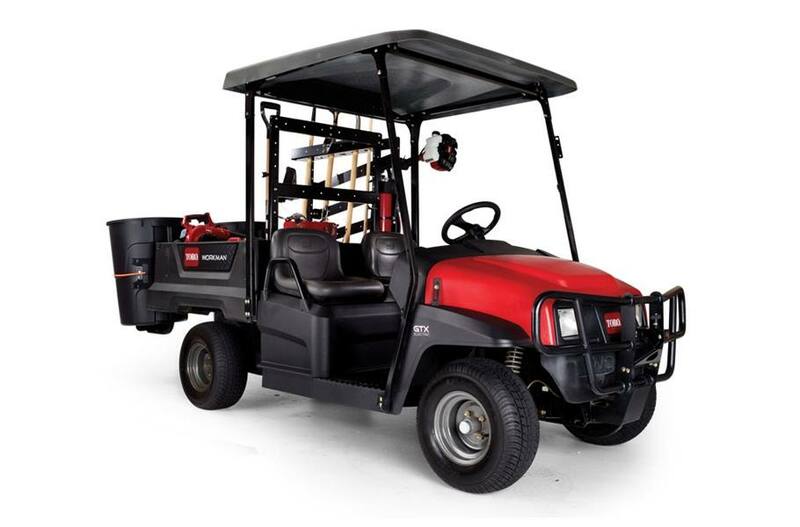 Power: Whether you choose the 429 cc gasoline or 48 volt AC electric Workman GTX, power and performance come standard. An improved power to weight ratio boosts payload capacity and productivity. The Workman GTX is the smarter, more efficient way to get the job done! Suspension: Coil-over shocks on all four tires delivers greater suspension travel and adjustability resulting in a smoother ride and minimized operator fatigue. We also made it the only vehicle in its class to feature a split frame to further increase ride comfort. Control: An automotive-grade rack and pinion steering system provides more control and lowers steering effort, while operating loaded or empty. This allows operators to focus on the task at hand and nothing else. Versatility: The Workman GTX is adaptable for any task. Two or four-seat configurations come with bench or bucket seats. Front and rear attachment points for garbage cans, hose reels or walk spreaders free up the bed for more hauling capacity. Steel 4 and 6-foot flat beds are also available. Comfort: The deluxe bench seat features Elastomeric Vibration Control (ELC) for additional comfort in rough terrain. The GTX also features an ergonomically designed steering wheel and intuitive controls that make operation simple and easy. 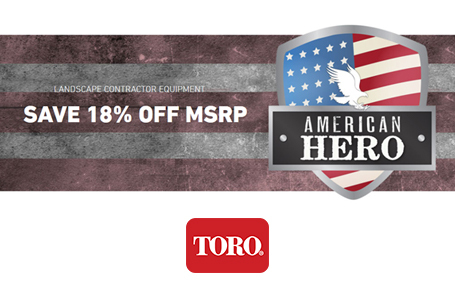 Durability: Virtually unbreakable exterior components and a powder coated frame and underbody give the Workman GTX superior durability. How do we know? We pushed it to the limits with the most punishing lab tests and gave it no mercy in real-world challenges with customers. The Workman GTX has been through it all so you can run it hard, day after day with confidence. Detailing: We didn't think of everything. You did. We just listened. Full access to the engine compartment makes service a breeze. Storage is abundant and a standard USB port makes a dead battery on the job a thing of the past. Braking: The Workman GTX features class-exclusive hydraulic disc brakes. Minimal maintenance, no cable adjustment and less pedal force than mechanical cable brakes affords the Workman GTX reliable and consistent stopping power. Attachments: Front and rear integrated receivers make securely attaching hose reels, walk spreader or trash cans simple. 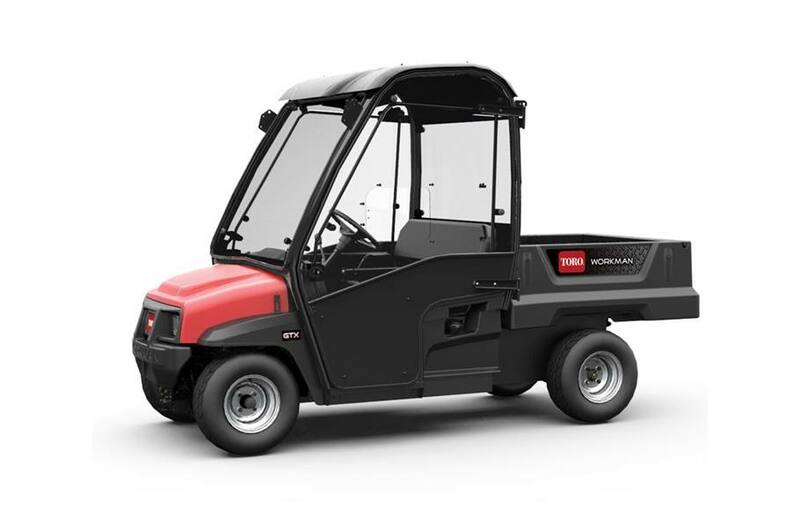 Cab: ROPS (Roll Over Protection System) certified cab enclosure features a windshield wiper, sliding driver's door opening and optional lights and mirrors. Canopy: To keep operators and passengers cool in the sun and dry in the rain, the Workman GTX has a custom canopy made of durable, high density polyethylene. Extension Kit: Converting the Workman GTX to a four-seat configuration is simple and cost effective when higher seating capacity is required. Bench Seat: The deluxe bench seat features Elastomeric Vibration Control (ELC) for additional comfort in rough terrain. Flat Bed: Available in four or six foot lengths, flat beds allow the Workman GTX to haul larger items that would not fit in a traditional bed. Stake pockets are available to build custom sides if desired. Racking: Save bed space by securing everyday items, like rakes and shovels, to the bed-mounted racking system. L-Track: Also known as logistic track, L-track is a versatile tie down system of rails and fittings that can be used to secure cargo in, on and outside the bed. ATV Tires: When conditions require, a more aggressive tread is available to keep you productive. Electric Bed Lift: A convenient, easy way to unload the cargo bed. Raises and lowers the bed efficiently within the payload capacity. Brake/Tail/Signal Light Kit: Brake, tail and turning signal lights provide additional awareness to others in your operating environment.